HousingWorks Austin and the Federal Reserve Bank of Dallas are excited to announce that Richard Reeves will be the keynote speaker for our Housing + Equitable Communities Summit on March 1, 2019. 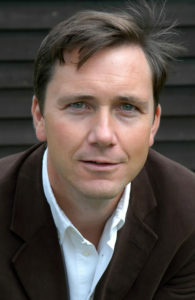 Richard Reeves is a senior fellow at the Brookings Institution, where he co-directs the Center on Children and Families. His research focuses on social mobility and inequality. A former European Business Speaker of the Year, Richard speaks on a range of issues including economic inequality, and the future of the American Dream. In September 2017, Politico magazine named Richard one of the Top 50 Thinkers in the US for his work on class and inequality. A Brit-American, Richard was director of strategy to the UK’s Deputy Prime Minister from 2010 to 2012. Other previous roles include director of Demos, the London-based political think-tank; social affairs editor of the Observer; principal policy adviser to the Minister for Welfare Reform, and research fellow at the Institute for Public Policy Research. He is also a former European Business Speaker of the Year. Richard has a BA from Oxford University and a PhD from Warwick University. He is a member of the Government of Canada’s Ministerial Advisory Committee on Poverty, and also teaches at the McCourt School of Public Policy at Georgetown University.